We had another good turnout this session with my 3 eldest plus A&L came over. They brought their 3 year old, so when my 5 year old's attention span went he went off to play with her. He was reluctantly recalled to the table whenever thieving skills were needed. The party decided to change directions and explore the Southwest side of the dungeon. I rolled a random encounter and got 9- Scouting Party of Wolf Warriors. Now, module B3 may say who the Wolf Warriors are, but if so, I couldn't find it. Also, a quick google search fails to turn up anything. 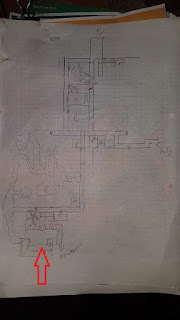 So, I did what DMs do and made something up! 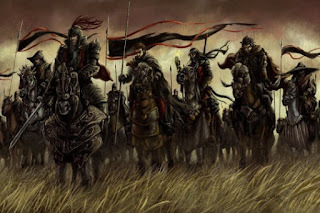 The Wolf Warriors are an evil mercenary band(think The Black Company) scouting out the location to use as a base for their next nefarious plan. Their plate mail has the face of a snarling wolf stamped into it. After some tense parlay with the party, they decided to team up against the monsters. The party took them to the room with the giant invincible monkeys. The monkeys were defeated at last! One Wolf Warrior was injured, so they took half the treasure in the room and left the dungeon. We may see these guys again though! 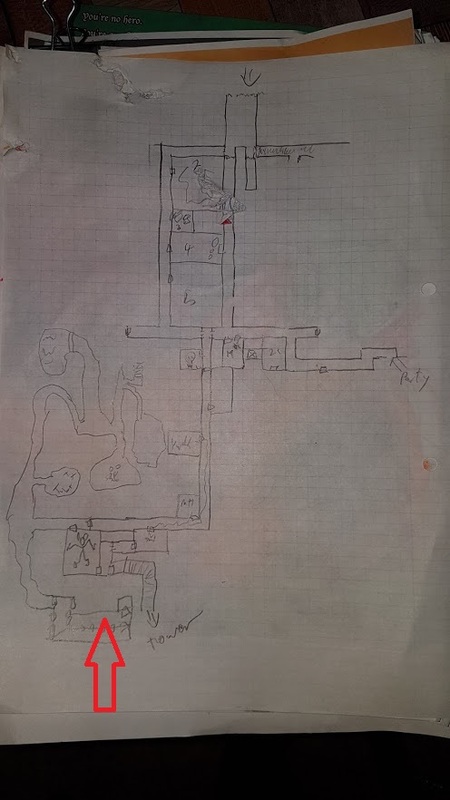 The party mapped out most of the West side of the dungeon, with it's weird caves and cult areas. They killed some more monkeys and found treasure locked away in a cell. After failing a few lock-picking rolls they heard boots and harsh voices approaching! We ended the session there!